Just like real estate, your location or your potential subject is a big factor in the success rate of your photo taking endeavors. It will decide the kind of photos you take and of course, your camera settings. Does your camera’s zoom factor matter? Yes, but more than that, what matters is the height of the guys before you, are their body parts hindering your viewfinder, and whether you can even catch a glimpse of the subject at all. All of these things come into play when you come to Bryce Canyon to take pictures. Bryce and her hoodoos are some of the most beautiful things one earth, so making sure you’re taking the photo’s correctly is imperative. 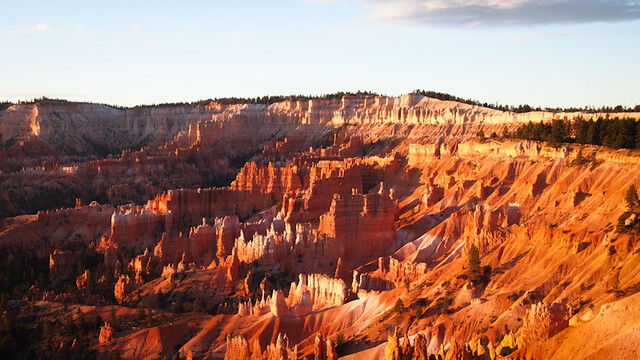 Before an event unfolds and a subject is presented (such as a Bryce sunset or sunrise), establish your position and claim it as your own until the end of the shoot. You cannot be an effective photographer if other people can dislodge you easily from your chosen turf. Stand up on a chair, kneel, squat, or lie flat on your stomach if you have to. The subject will not always make a pose nor act for you. You just might have to act and move more than your subject to take that masterpiece. For this reason, wear clothes that will allow you to be caught even in the most compromising positions. Look for the Light, even if you have the best flash equipment in town. Natural or artificial lighting will always determine the drama and clarity of your photo. Almost all forms of visual art consider light as the most important element in a composition, photography is no exception. Do not bring all your equipment with you but bring only what is necessary to an event or shoot. For that matter, always have extra batteries (fully charged , of course); extra memory card especially if you are trigger-happy; flash and lens attachments including filters; and a tripod, if you must. Use your eyes to make a great composition but do not forget what data you gather with your ears. Any form of noise is indicative of an event that is unfolding and whether it is natural or man-made, the event might be worth capturing with your camera. Lack of noise (in other words silence or near silence) also presents good photo opportunities because silence often accompanies the magnificence of nature, a long-awaited arrival or entrance, and at times, the completion of a dangerous or daring act. All of these simple photography techniques will help you take home from Bryce Canyon the best photos you can possibly take. There are few words to describe Bryce, but your photos will do the talking for you once you’re done. Why Visit Bryce In The Winter?